In 2011, the Museum of Islamic Art in Berlin celebrated the 100th anniversary of the German excavations of the Islamic-medieval site Samarra. The former Abbasid capital (836-892 A.D.) around 125 km north of Bagdad is one of the largest archaeological ruins in the world and one of the key sites in the field of Islamic art and archaeology. The excavations led by Ernst Herzfeld and Friedrich Sarre between 1911 and 1913 represent a primary moment in the establishment of the field. Today, a hundred years later, our knowledge on Abbasid art has widened immensely. This volume includes papers given at an international symposium organised by the EHG together with the Museum of Islamic ARt from June 30 to July 02, 2011 to discuss the latest state of research on the former Abbasid city and its impact on Islamic art. Articles touch the history of the excavations, the city of Samarra and its finds as well as other recently studied Abbasid sites. There is probably no site in the entire Islamic World that can compare in extravagance with the city of Samarra. Located around 125 km north of Bagdad on the Tigris (today: Iraq), Samarra served as temporary capital of the Abbasid dynasty. Founded by the caliph al-Mu'tasim in 836, it developed into one of the largest and most extraordinary cities of the Ancient World, featuring luxurious palaces, extensive military quarters and a remarkable Great Mosque whose powerful, spiral-shaped minaret continues to be the city's landmark until today. Samarra remained the Abbasid capital for almost six decades until financial crises forced the caliphs to return to Bagdad in 892, leaving the city to decay. It was through the excavations by the former director of the Museum of Islamic Art in Berlin, Friedrich Sarre (1865 – 1945), and the archaeologist-doyen Ernst Herzfeld (1879 – 1948) in the years 1911–13 that Samarra reached world fame in the academic field. The Samarra explorations were one of the first comprehensive archaeological studies of an Islamic site ever carried out and its discoveries not only greatly enlarged our knowledge of early Islamic city planning, architecture, and artefacts, but also stimulated some of the most fundamental theoretical discussions within the field. In 2011, the German excavations celebrated their hundred year anniversary. Together with the Ernst Herzfeld Gesellschaft, the Museum of Islamic Art in Berlin decided to dedicate the 7th Colloquy of the EHG to this former Abbasid capital. The Museum of Islamic Art holds a substantial part of the original findings, and considering the planned new Museum installations in 2019, it seemed appropriate to reconsider the entire “Samarra” complex and re-evaluate our present knowledge of Abbasid art. Since 1911–13, vast amounts of archaeological and survey research has been carried out, not only in Samarra itself but also at other important Abbasid sites. The conference brought together a selection of some of the most relevant studies from past years. 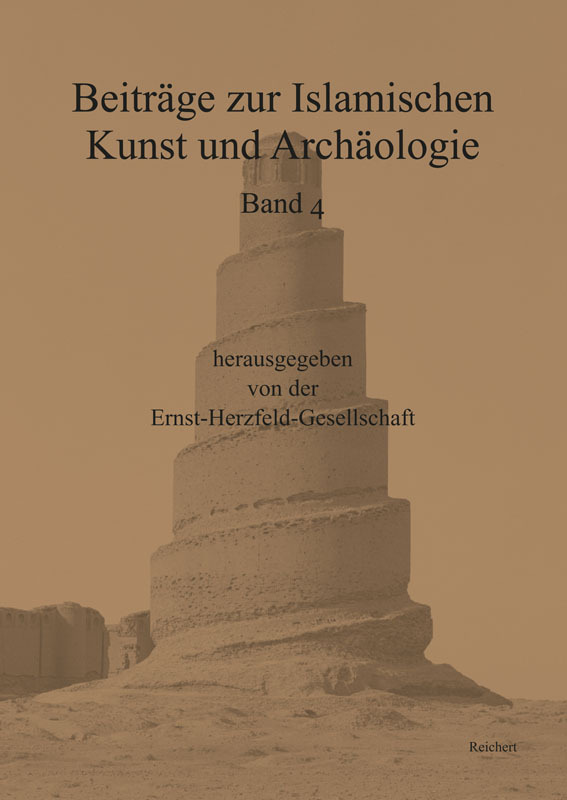 The contributions deal with the history of the German excavations, the city of Samarra itself, its various find groups as well with other, more recently explored Abbasid sites, turning this volume into one of the most comprehensive publications on this topic since many years. Julia Gonnella is curator at the Museum of Islamic Art in Berlin (SMB). She has published on many aspects of Islamic Art. For the new installation of the museum galleries in 2019, she is coordinating the various projects connected with the Samarra holdings. Rania Abdellatif is currently working as a trainee curator at the Museum of Islamic Art in Berlin (SMB). She is preparing her PhD at Sorbonne / Paris IV University, dealing with the Zangid and the Ayyubid congregational mosques in Bilad al-Sham. Simone Struth has studied history of Islamic art in Munich/LMU with a strong interest in both the medieval and contemporary arts of the Arab speaking Middle East. She is currently working for the Samarra-Project MOSYS 3D (HTW-Berlin) at the Museum of Islamic Art in Berlin, specialising on the stucco decoration.